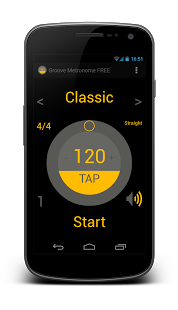 This is a normal metronome with the exception that it houses a virtual drummer that can play any of the built in grooves in any time signature you set and every tempo you dial in. 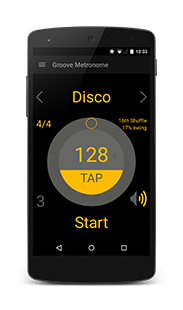 Get a taste of what Groove Metronome is all about! Or you can use it like a normal metronome without all the extra features of the full version.